The Mansions of Oaş, the Trout of Mara. In the time since I last posted about the wonderous Maramureş region of Romania,, a call came in, a gig was secured, and within days I was back in a 1983 Toyota coughing its way across the border and back to Maramureş. So, yes, there will be a lot of Romaniacentric posts in the next few weeks, and yes, I urge all of you readers to visit Romania this summer and enjoy the hospitality offered by the people of this amazing country. One of the reasons Maramureş is so stubbornly unique is simple: it is damn hard to get there. Sure, you can take a bus from Cluj or Satu Mare, and there is a train line, a long, inconvenient one, but coming from Hungary by car means a choice of two roads: either the northern approach driving from Satu Mare through the Oaş region (through Negreşte-Oaş, Certeze, and the mountain pass at Huta) or the southern approach (via Baia Mare and Cavnic.) We did both so you don’t have to. First we crossed the border into Satu Mare (Szatmar in Hungarian, and Satmar in Yiddish.) Satu Mare is the town from which the numerous Satmar Hassidic Jews of Brooklyn get their name, and although there are very few Jews (and no Hasids) left, we did see this surprising license plate (The SM stands for “Satu Mare.") Man, I’d love to cruise down Division Street in Williamsburg with those plates. Driving east from Satu Mare we hit Livada, and took the road north through the Oaş country. It was strawberry time in Satu Mare and we stopped several times to buy buckets of delicious sweet strawbs from Gypsies along the side of the road. These were some of the best berries I ever tasted, and Fumie easily “drank” down a kilo and a half before we hit Maramures. 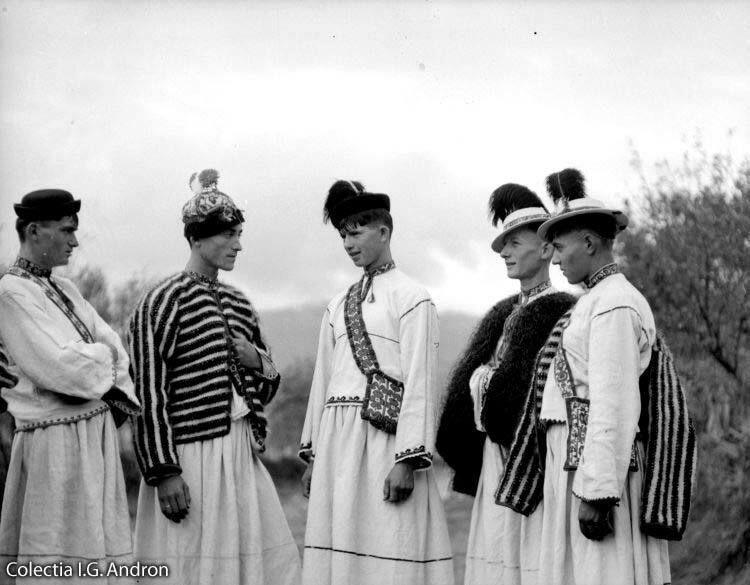 The Oaş country is lowland Maramureş, and until 1990 was one of the poorest regions of Transylvania, known to most people for a screaming fiddle music accompanied by asymmetric howling vocals. Like a lot of Maramureş farmers, the Oaşeni began to go abroad for jobs, especially construction jobs in Italy. Back in the 1990s a lot of the Oaş villages still looked like this: Today, after nearly everyone has spent the last decade working on construction sites in France and Italy - to the point where you are likely to hear Italian spoken on the streets of the village as the "cool" language - they look like this: Especially in the village of Certeze – which is called ‘the richest village in Romania - the locals came home and began building immense, modernistic Mediterranean mansions like the ones they had worked on in the suburbs of Milan, competing with the neighbors for the most ornate and impressive. This house, though, takes the cake. 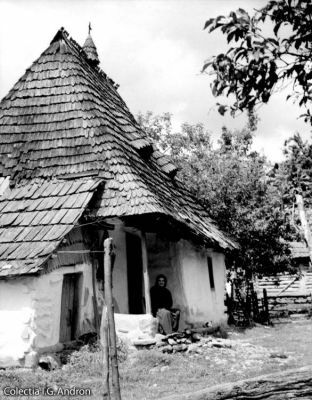 Apparently this house is famous throughout Maramureş – the guy built it to impress a woman to marry him, but, as it goes, just as he finished it she divorced him. So sad. And onward to the Huta pass, at which point the county line passes into Maramureş and the road deteriorates into a mess of potholes. Not just any pothole. These are axle-shattering, rim bending, tire destroying mountain road craters that lie in wait for any unsuspecting vehicle. Do not even think of driving this road at night. The fifty kms between Huta and the main town of Sighet becomes a tiresome stretch of pothole dancing and avoiding trucks and cars veering into your lane to avoid their potholes. On the way out of Maramureş we decided to try a different route: south from Sighet towards Baia Mare aqnd then up towards Satu Mare again. And guess what? No potholes, at least none of the Mother of all Asphalt Craters we met on the way in. And the added bonus was we got to have lunch in the village of Mara at the Alex Pastravaria, a trout farm and restaurant that lies along the road just before the mountain pass at Cavnic. Now, I like trout. I like to fish for them, and I like to eat them, particularly rainbow trout, which are about as perfectly synthetic a fish as can ever be devised. Originally a localized species of trout from California, the rainbow trout has been bred and fish farmed into the genetic equivalent of Wonder Bread, and spread throughout the world as an easy to stock alternative to brown tout, with the added advantage that it rarely adapts to its introduced environments enough to breed on its own, making it the perfect put-and-take fish. Rainbows can live in slightly warmer waters than wild brown trout, and can tolerate pollution better, and quite honestly, they taste better than wild trout, which is a good reason to release any wild brown you catch and feast on farm fresh rainbows instead. Which we did. For the insane price of about EU 3 (US$5) you get a hefty grilled or fried trout with crispy fried potatoes and their signature sauce of sour cream and garlic. And you can eat it sitting on a wooden bridge watching trout swim past you as you chow down on their brethren. Driving south, we threaded through the hairpin curves along the Cavnic pass and finally reached the dusty industrial plain around Baia Mare, and headed north to the Hungarian border. Guess what? No potholes. Slightly longer route, but we could drive it faster than the northern route to Maramureş. So it looks like the next time I cross through the Oaş country I will probably be there on a new mission: I need to record more of their crazed, wild fiddle music. The Oaşeni like to scream their lyrics above the melody played on a modified violin. In order to get the higher pitch, they tune the fiddle string nearly to the breaking point, and then push the violin bridge nearly up to the fiddle neck itself, thus shortening the scale of the strings. Rather like capoing a fiddle. The result is a clear, bell like shimmering sound that is unique to the region. Master musician Ion Pop of Hoteni had a fiddle set up in Oaş fashion and played us a few tunes.